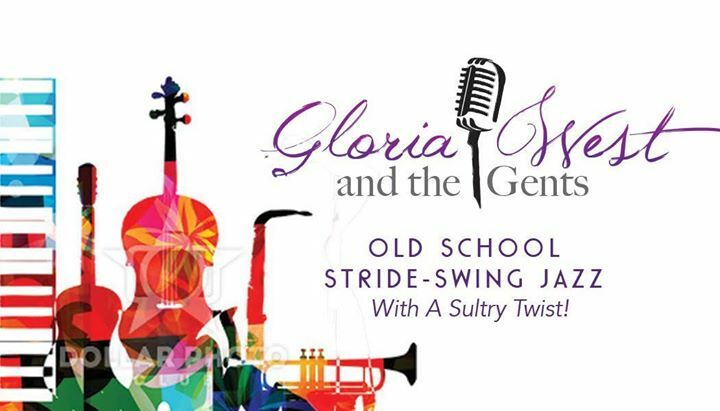 Gloria West & The Gents play old school sultry jazz for private and public events all around Tampa Bay, FL. We play in a style we like to call stride-swing. It’s fun, danceable, and allows us to show off our silly side! Gloria, Stephen, and Tom began playing together weekly in May and have since added on more Gents that meld with their unique style! Since then, we have had guests asking to purchase cds, so we’re ready to run with it! Along with digital download and cd, we’ll also be releasing the album on VINYL! Start off with old favorites and then add in a few lesser known favorites of ours! Then take some pop, Disney, and movie songs and give them an old school jazz feel! Lastly, throw in a couple jazzy originals, and you’re all set for an eclectic mix that embodies the feel at a Gloria West & The Gents live show! We’re going into the studio to work on the album in July, just in time for fireworks and watermelon!! This just in! Our release date will be October 2015! !